Event features discussion, Q&A about HBO's popular mobster series. It was a common scene in “The Sopranos”: Mob boss Tony Soprano shuffling down his driveway in his bathrobe and slippers to pick up his newspaper and read the headlines. 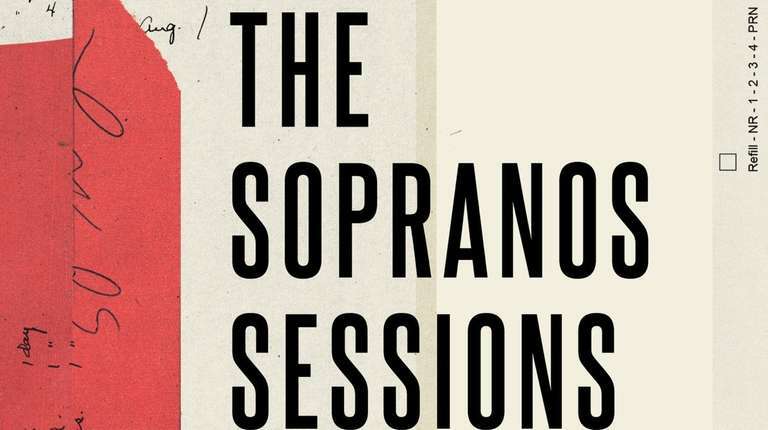 Two former reporters from that paper, The Star-Ledger, who covered the show throughout its seven-season run have a new book, “The Sopranos Sessions” in celebration of the series’ 20th anniversary. The duo, Matt Zoller Seitz and Alan Sepinwall, will appear at Cinema Arts Centre in Huntington on March 25 for a Q&A discussion and book signing reception. Surprisingly, there wasn’t much initial hype surrounding the now-legendary show about a mobster who balances his crew and his family while in therapy. In the book, it’s discussed how the audience was drawn to the characters despite them being despicable criminals who murder and steal. The center of that character universe is Tony Soprano, played by the late James Gandolfini, who showed a wide range of emotions throughout the series. Seitz sees Tony’s psychiatrist Dr. Melfi, played by Lorraine Bracco, as the viewer’s voice in the show because she’s an outsider and a moralist. The series' finale remains perhaps one of the most-analyzed moments in television history — it left fans wondering what happened to Tony as the screen simply went black for the last 10 seconds of the episode. Show creator David Chase, who spoke in detail with Seitz and Sepinwall for the book, expressed his frustration with having to explain the meaning behind his own work. David J. Criblez is a reporter for Newsday's exploreLI, covering entertainment-related events from local music to stand-up comedy to festivals.